Quality, not quantity… it’s a simple enough edict, yes? Our guest yesterday, Erika, who was visiting from Maryland, wanted just this very thing. 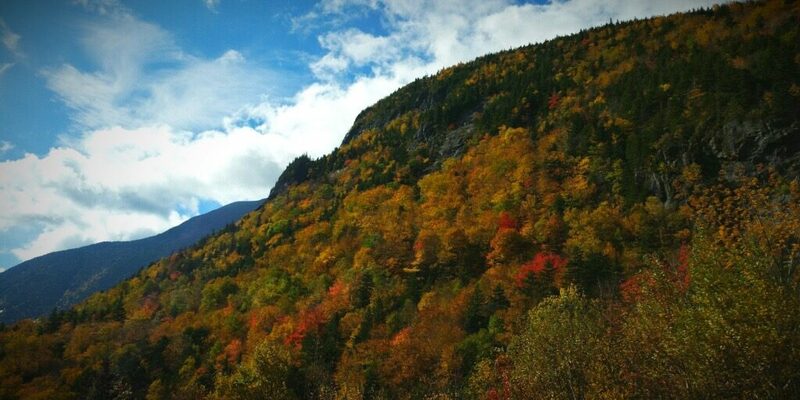 Some of that famous New Hampshire foliage, stunning views, waterfalls, and a little hiking. 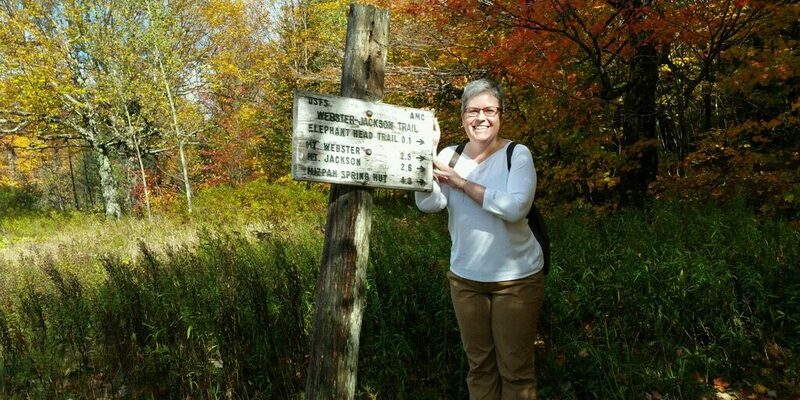 Not a lot of hiking, if you please. 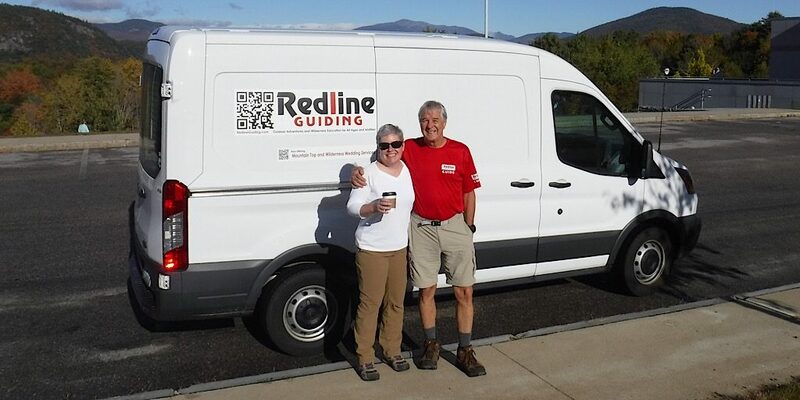 Redline Guide Jeffrey Shutak was on the case. 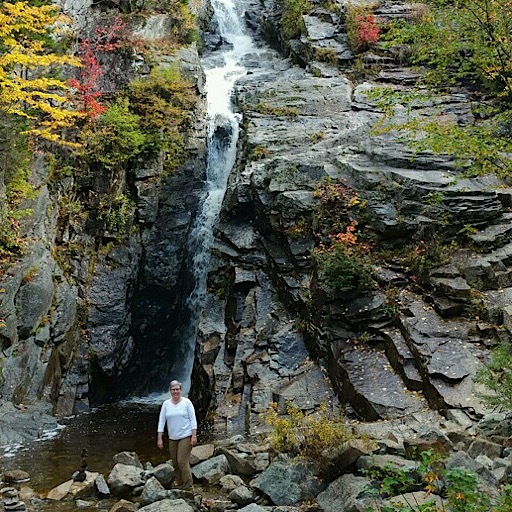 We know and he knows, one doesn’t have to hike for miles to get the goods here in the White Mountain National Forest. Ideas were thrown out there, initially with the likes of Kearsarge North, South Moat, or Mt Willard being presented, until the edict came to pass, then the duo opt for access over elevation. Ready to roll. After picking up Erika at her hotel, Jeff swings her by to meet me. Hiking along Bemis Brook, the two make their way in. This is the scenic route. 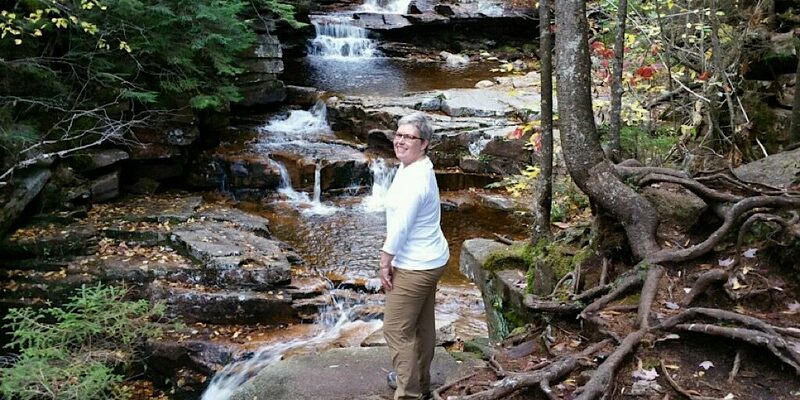 The popular 140-foot Arethusa Falls is next. A pretty location… and flowing nicely today. 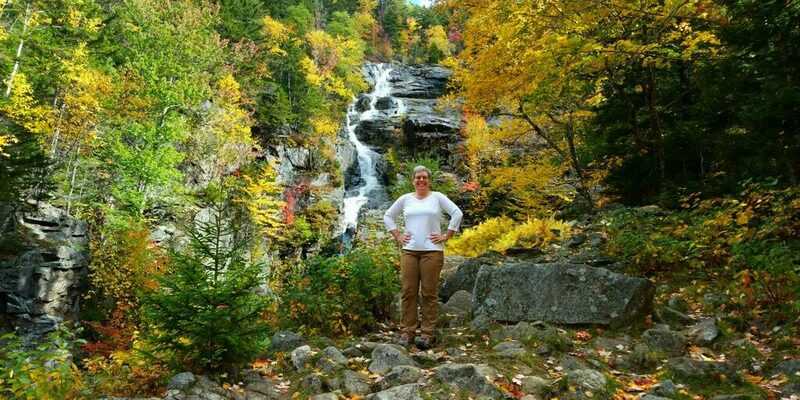 After taking a detour to Jackson to check out the “Pumpkin People,” the two begin by driving up to Crawford Notch and hiking to Arethusa Falls via the lovely Bemis Brook Trail — which offers its own awesome falls. 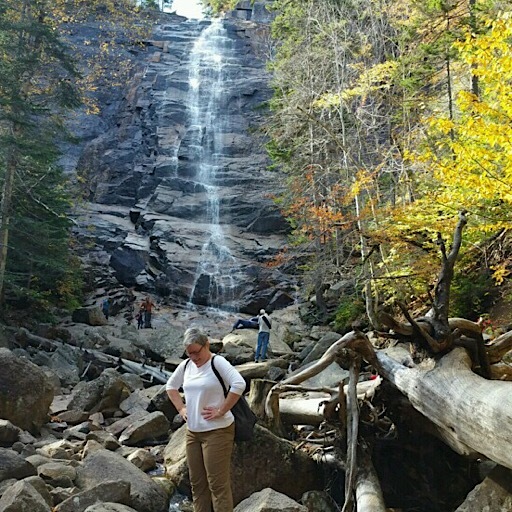 Not only are Arethusa Falls really pretty, and flowing nicely after the recent rains, Jeffrey reported, but at 140-feet they are the second tallest falls in the Whites! 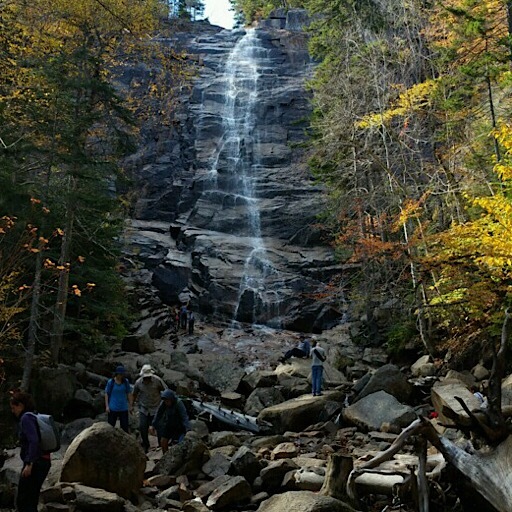 Many think they are the tallest, but that distinction actually goes to Dryad Falls in the Mahoosuc Range which drop over 300-feet in two steps. 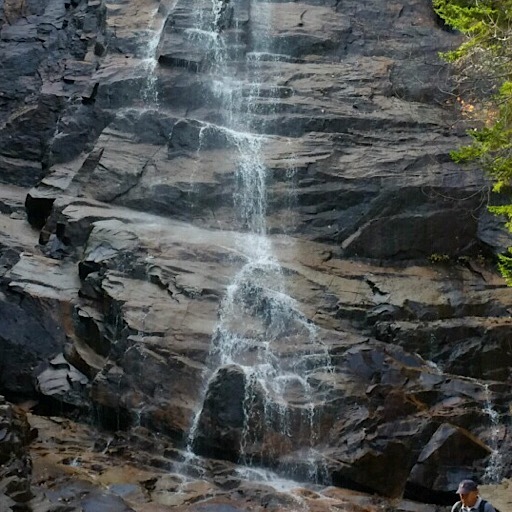 Arethusa Falls is more visible and accessible, however, making it much more popular. And make their way to the Cascade Flume. After Arethusa Falls the duo head up Route 302 stopping at the Cascade Flume before going to the Webster-Jackson trailhead. This was their planned route to visit Elephant Head, followed by Bugle Cliff (the latter on a whim). 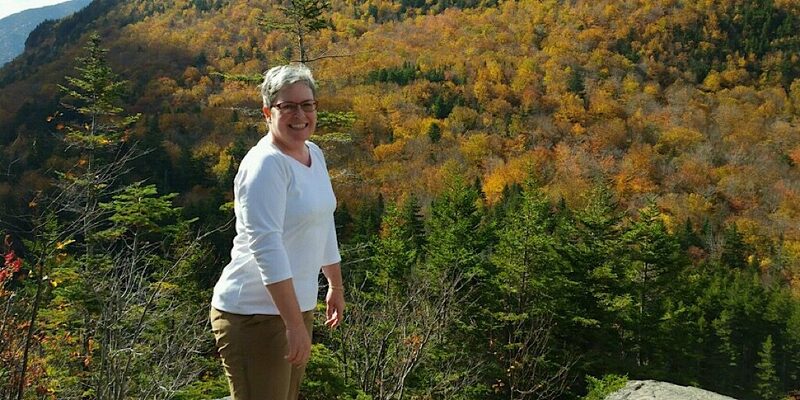 The idea, again, is to keep the incredible foliage views front and center for Erika to enjoy. And enjoy them, she did. It’s a simply stunning location to be sure. Elephant Head, anyone? That’s next. They had a pretty incredible day, that is plain to see. Erika really lucked out, not only were we able to meet her needs, but she also came right after rains so the brown leaves were knocked down making the other colors pop. Those very rains were really concerning, but as our luck would have it, during those two days of deluge, we had no hikes scheduled, narrowly missing all that crazy rain. Quality, not quantity… it’s a simple enough edict, yes? We were happy to oblige. A stunning view from up there. Breathtaking colors as seen from Bugle Cliff. The recent rains helped. Thank you for visiting, Erika. We hope you’ll visit us again.